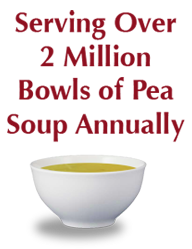 Over many years, whole generations have grown to love our "All Natural" Split Pea Soup. They have told friends/family who in turn have told more friends and family about our courteous service and value-minded home cooking. 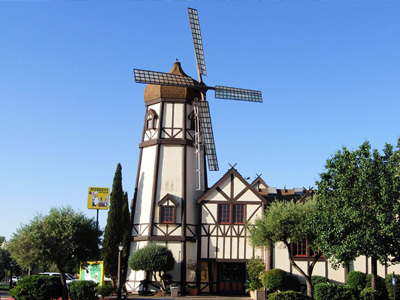 Whether you are drawn by our world famous split pea soup, hot onion rolls, crispy fried chicken or other edible goodies, or if you are simply intrigued by our giant windmill, visible from the I-5 freeway, Pea Soup Andersen's has been a favorite stop for generations of travelers. 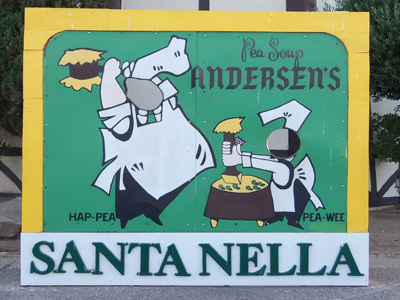 Located in the friendly little town of Santa Nella off of Highway 5 near Los Baños, we welcome you to the magical home of Hap-Pea and Pea-Wee. Discover our old-world Danish charm; enjoy our hospitality and good food. On your way out visit our Bakery and Gift Shop to pick up some treats for the road. Each and every guest at Pea Soup Andersen's is a special person and we strive to be more than just a restaurant. Our goal is to be a place where you will make wonderful memories and spend time with your family. We hope that you enjoy your time spent with us and that you will return soon... and often.